1/24 scale assembly kit of the Toyota Soarer 3.0GT Limited. 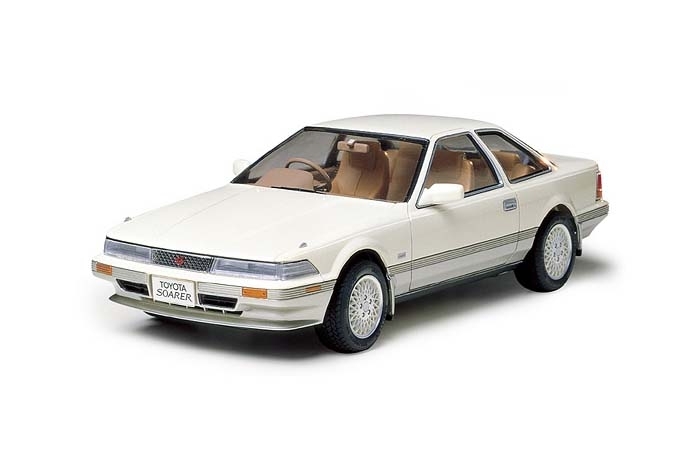 This model depiction carries the highest trim level of the 2nd generation Soarer which debuted in 1986. It incorporated a 3-liter 24-valve DOHC 6-cylinder turbocharged engine as well as electronically controlled suspension to achieve a balance of performance and comfort. Special Feature 1 Hood is molded with clear plastic to allow viewing of the highly-detailed 3-liter turbocharged engine. Special Feature 2 Steerable front wheels.